MCT always does its best not to damage any wildlife on the Mayfields site during its management operations. 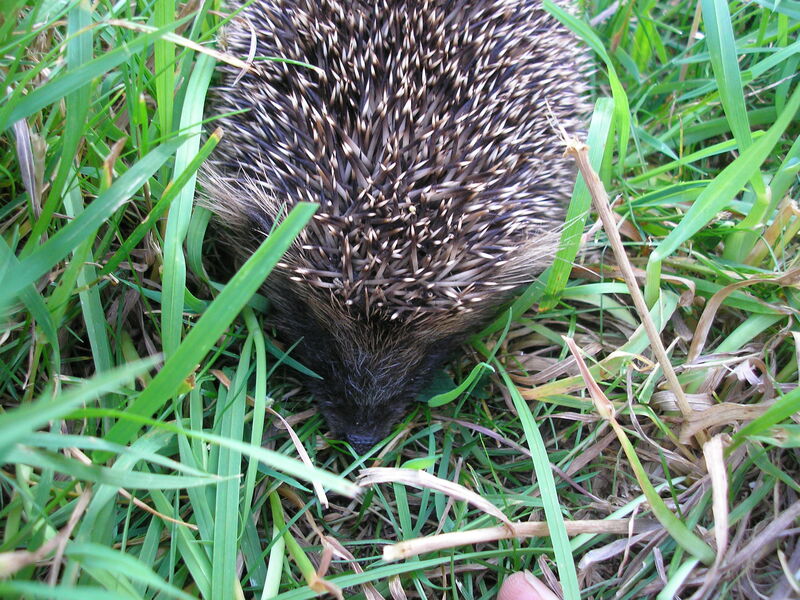 Sadly, recently a hedgehog was badly wounded by a dog bite and eventually died despite our best efforts. This is a real risk when dogs are out late in the evening when the hedgehogs are most likely to be out looking for food. 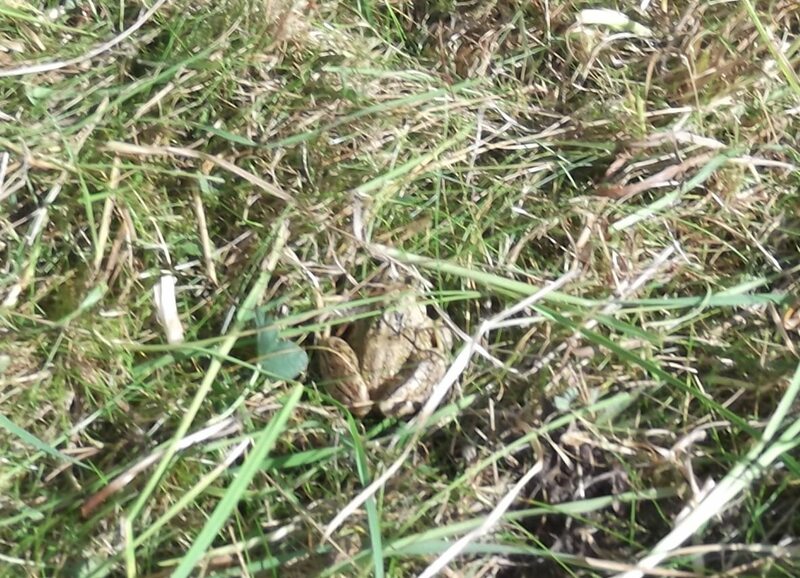 Frogs and toads are well camouflaged as the photo below left shows. Even in the selective enlargement on the right below care is needed to spot the creature, which is why you will often see us on our knees trimming long grass carefully with hand sheers. 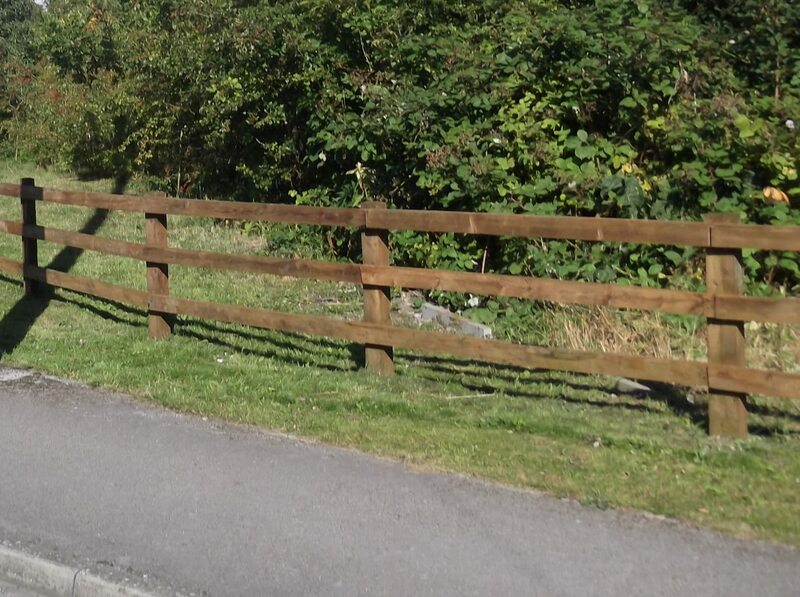 The fence along Nelsons Lane can be a little fragile in places. At the end of August a bar was broken, probably by someone climbing over to get to the blackberries (which were especially good this year!). MCT used a metal bracket to make a quick repair as shown below, but it is best to avoid standing on the fence bars. There is a small gap at the playground end that allows safer access. 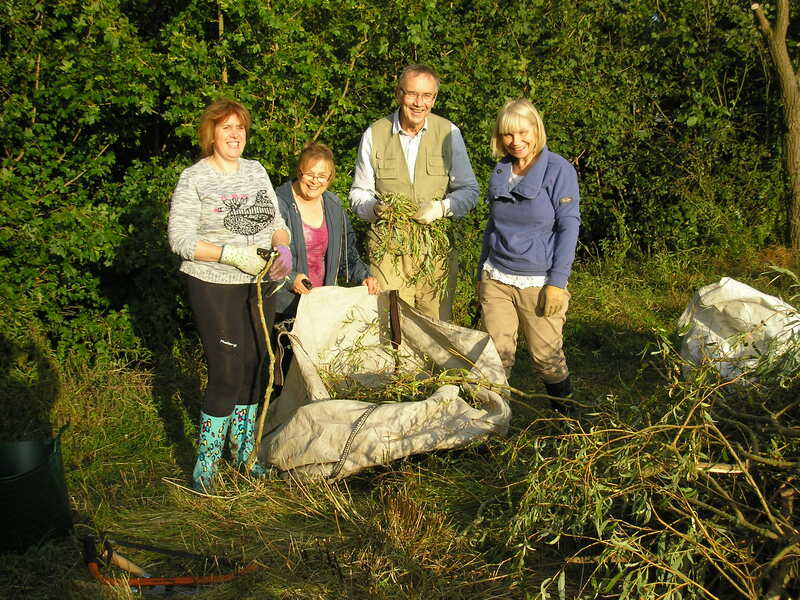 Our 7 volunteers (4 shown in photo below) enjoyed the evening sun while trimming the partially dead crack willow east of the wild flower meadow at the 2nd of our August Wednesday evening volunteer sessions. Note that there will not be a session on Wednesday 20th August as the co-ordinator/safety officer is away, so the next session will be on Wednesday 27th August, 2014. 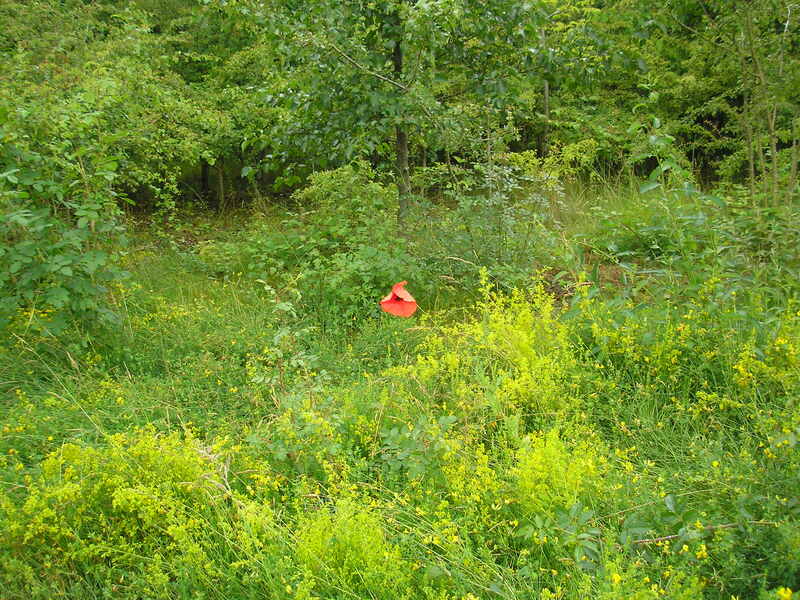 Six turned out for our first volunteer session in August, so we were able to make good progress with trimming grass and excess knapweed going to seed at the north-eastern corner of the meadow. We’ve been working carefully with sheers and secateurs. 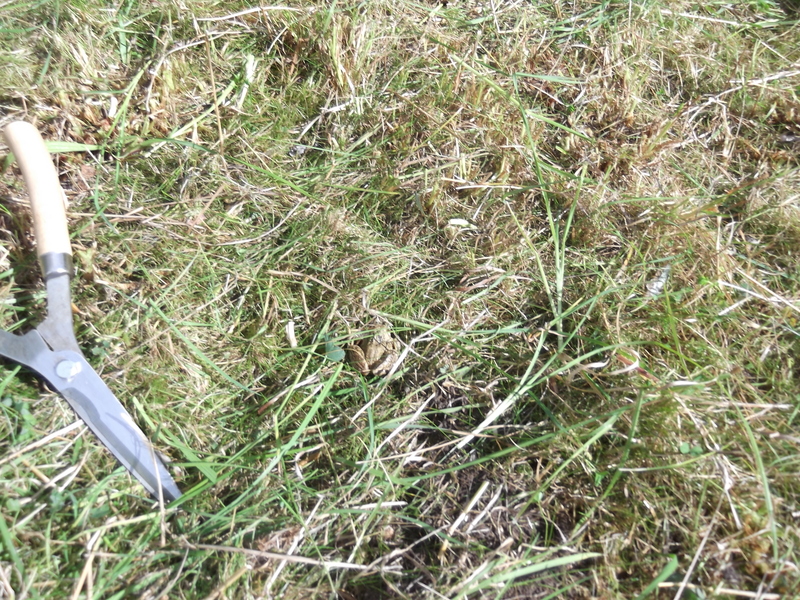 It’s slow, but avoids damaging frogs that appear from time to time under the long grass. One was caught on camera (below). 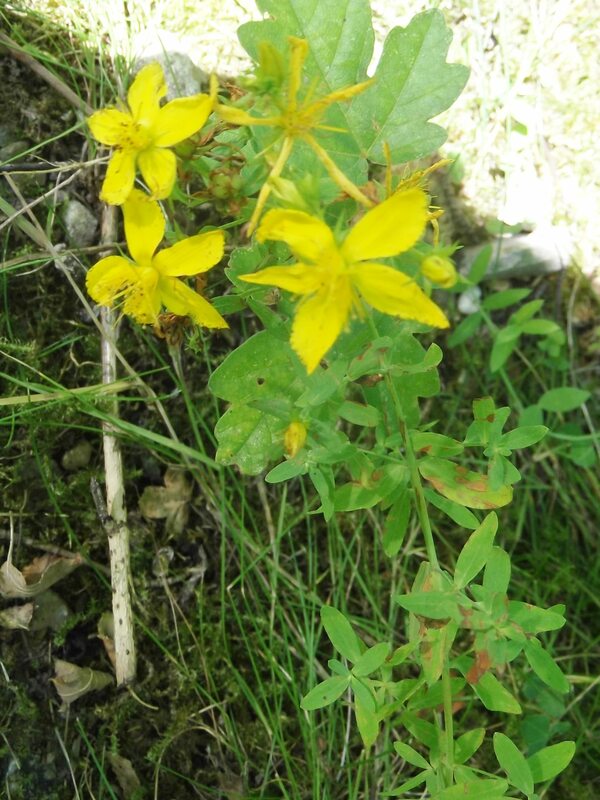 It also means we can be selective with any scarcer wild flowers we want to leave. 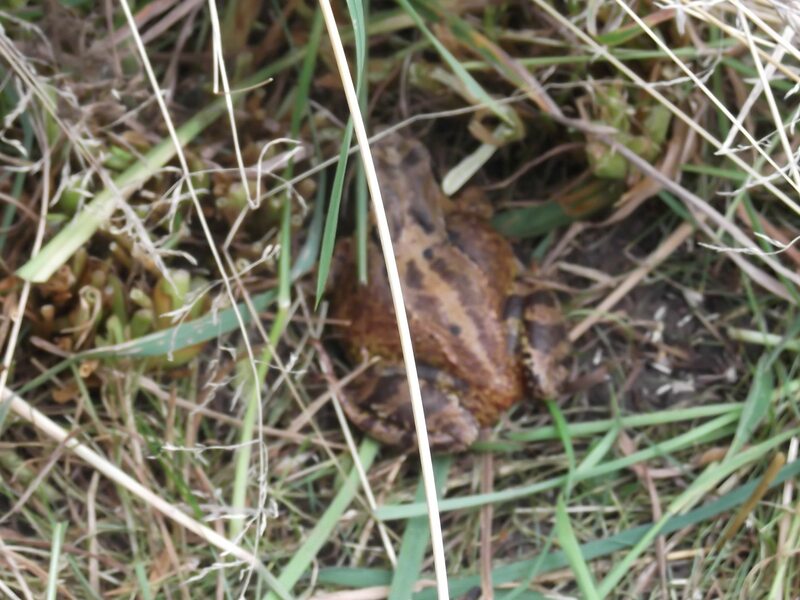 Common frog, well camouflaged in the long grass! 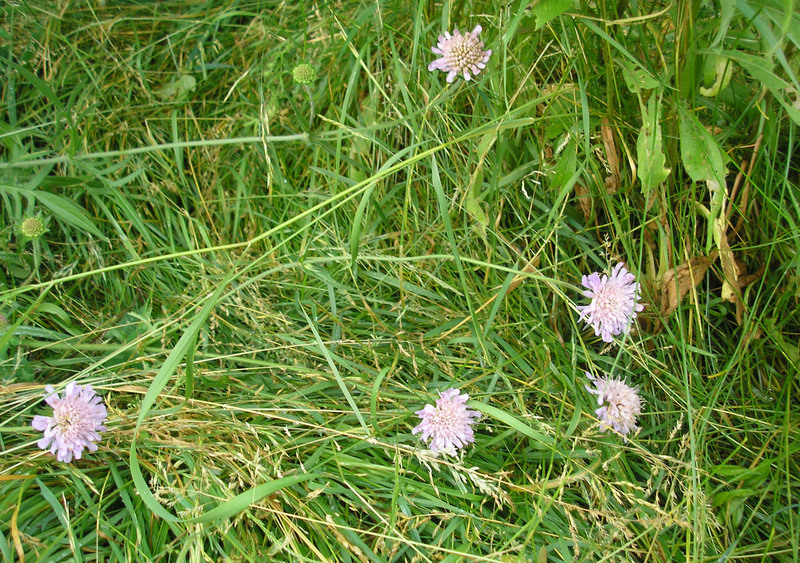 The knapweed was abundant and very attractive when in full flower, as in Pam’s earlier photo on the meadow below, but is less attractive this late in the year. You may notice we’ve been cutting it back selectively where it was becoming too dominant, while also removing some of the long grasses where flattened by over-enthusiastic dogs. 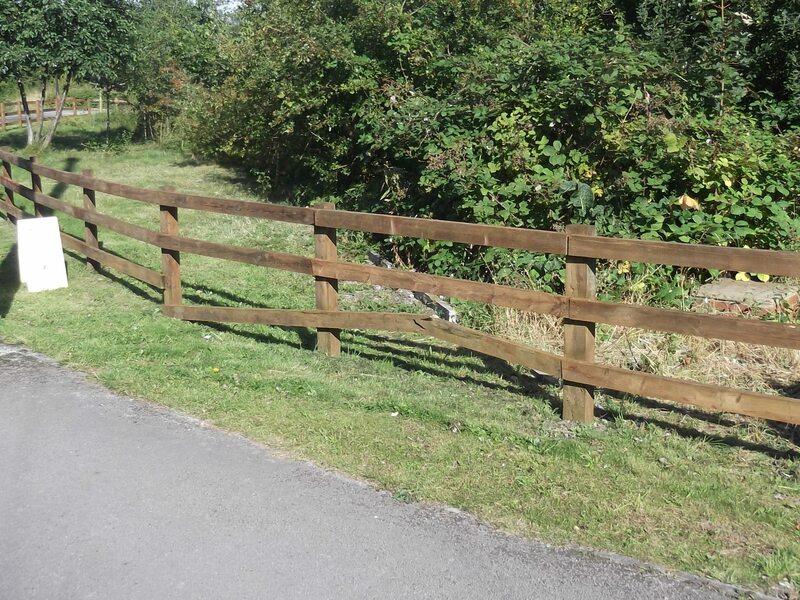 We hope you’ll agree this has improved the appearance of the area just inside the gate and some other parts of the meadow. 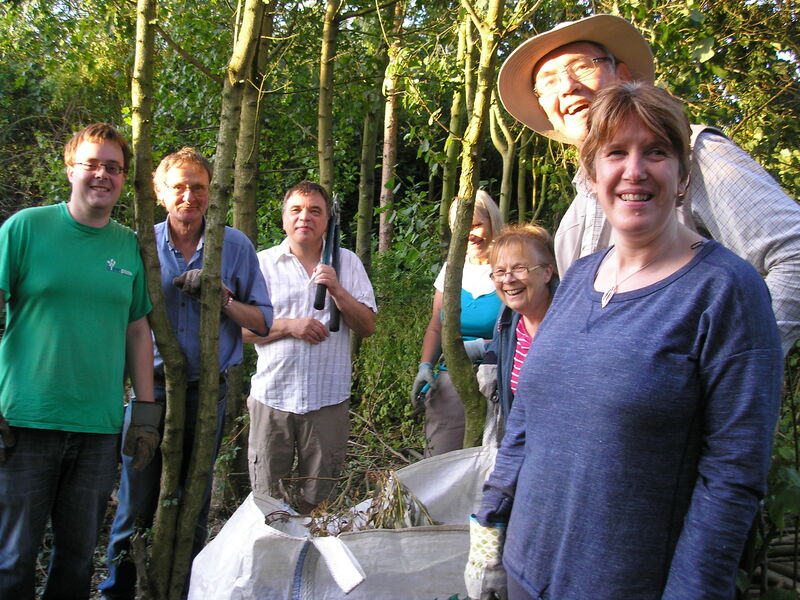 The final MCT Wednesday evening volunteer session in July was a very useful one, with 8 people (Pam took the photo!) and an inquisitive young hedgehog keen to see what we were up to (it had possibly discovered the joys of insect life around one of our wood piles retaining a small compost heap!). We managed to cut up all our green waste near the gate and transfer it to the compost heap. 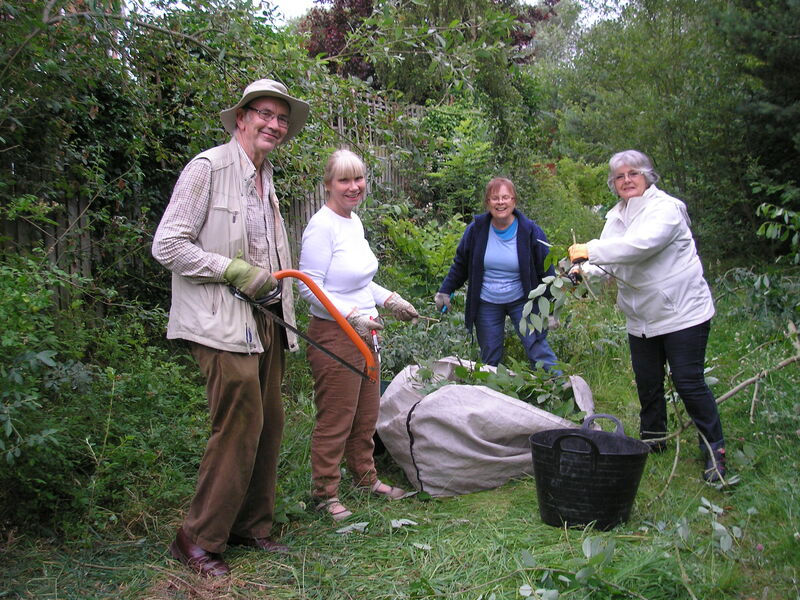 On the following Thursday morning we made a start on trimming vegetation (including Lady’s bedstraw, grass, thistles, encroaching willows and roses, and brambles) alongside Nelsons Lane in a successful attempt to beat the forecast rain that we hope will help green-up the area more quickly. 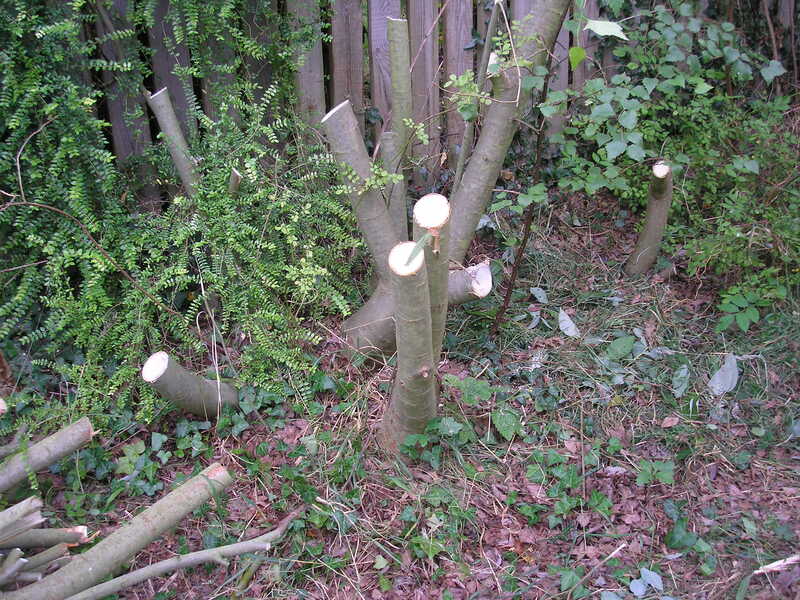 We also trimmed back a rose and hawthorns crowding an attractive young oak there. 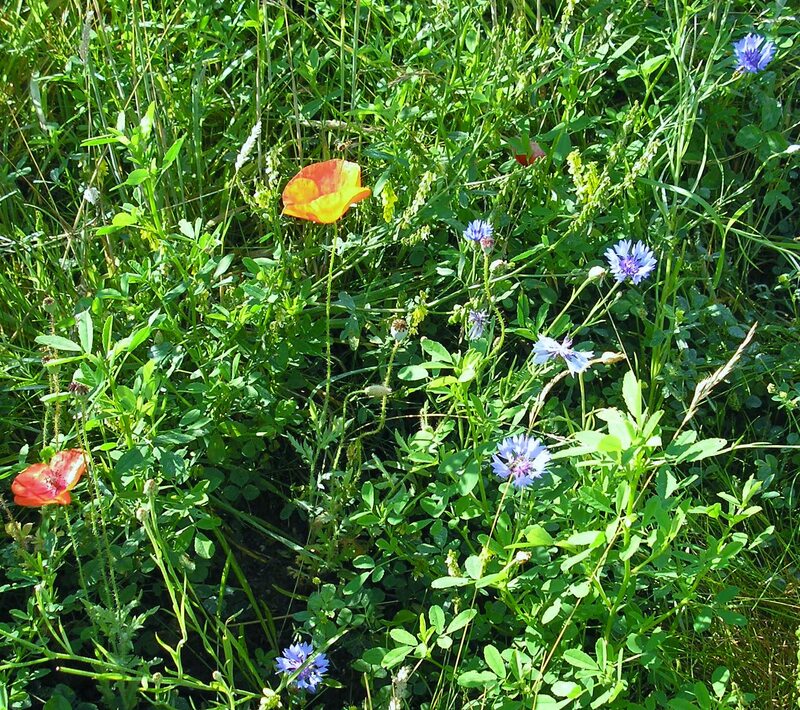 We were pleased to see a few patches of poppies and cornflowers emerging towards the end of July, as in Pam’s photo below, in spite of the heavy local competition on the wild flower meadow. We’ll try again next year when competition should be reduced from tall grasses as more grass (and the nitrogen it contains!) will have been removed. From 2nd July we started having a “Volunteer Hour” every Wednesday evening, starting at 7 o’clock. Thanks to Pam for the photos below of the first session, which was spent cutting down self-sown willows growing too close to a back fence at Goodwood Grove, and cutting up the pruned material for composting. July’s “flower of the month” was an easy choice, as some of the red campion plug plants raised by MCT from local seed finally started to flower at the end of June. More are on the way (we hope!). Mind, the handful of poppies and field scabious (lower shots by Pam Brown) provided stiff competition, and the meadowsweet is looking very attractive too, providing a striking contrast to the flourishing knap weed on the meadow! 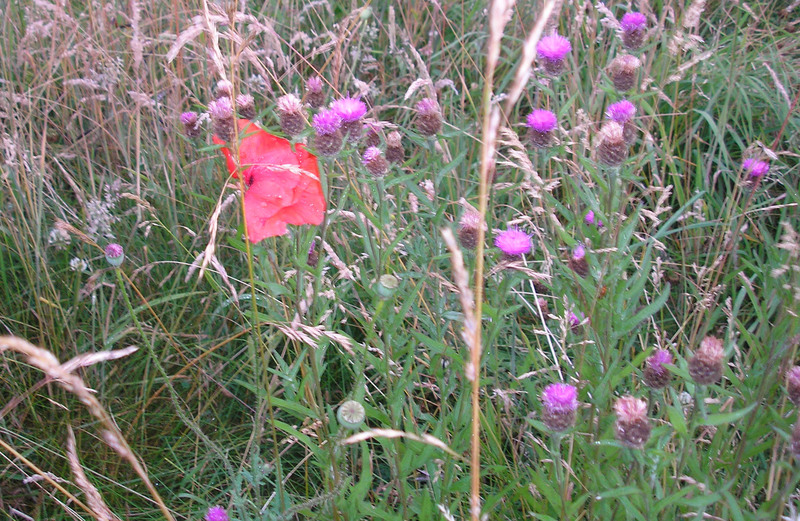 Red campion (top), Scabious (above left) and solitary Poppy surrounded by the yellow Lady’s bedstraw (above right) beside Nelsons Lane. Nature did its best to provide a big splash of yellow for le Grand Depart with all the regenerated bird’s-foot trefoil and Lady’s bedstraw alongside the fence!